I read a proposal today that essentially suggests taking expensive patent trials (a la Apple-Samsung) out of the jury system, putting these disputes into the loving hands of an “expert tribunal” instead. Readers are free to check their own resources and form their own conclusions. Below is my own comment, which I posted to GigaOM.com today. It is still in the moderation queue – a necessary evil these days – but I felt it worth repeating. Software “locks” have been with us for years. In fact, they’re just digital child-proof safety cabinet latches. Litigation over who can own and patent design concepts, even when centuries old, is completely out of control. It’s instructive to glance at a quick Google search for “slide lock patent” — you’ll get over 4 million hits. Almost every “object” in our modern software graphic user interfaces has an exact analog in the old-fashioned mechanical world of cabinets, drawers, handles, pulls, latches, catches, files, folders, desktops, and locks. I’m not taking sides here, partly because Asia is notorious for disrespecting American software copyrights and patents. Mostly, on a deeper level, something is horribly out of control across both oceans. We’re all trying to patent drawer pull analogs and the “look and feel” of natural woodgrain laminates. The evolution of the software slide lock has been long in coming. Its design purpose was to provide a protective control someplace in between completely open access and a compete userid/password lockdown. The idea is to prevent the user from accidentally triggering an action or changing a setting they didn’t intend to, without being overly intrusive. Mac and Windows users will remember the old two-button “dialog boxes” that used to pop up, asking us, “You are about to permanently change your Administrator Password,” presenting the iconic “OK” and Cancel buttons. Since Snow Leopard or somewhat before, Apple had adopted a graphic symbol of a tiny padlock. You had to click that symbol before you could change a user setting or preference. You could click the symbol again to re-lock. Currently I see the new “slide locks”in the Apple Store, and on my iPad. Its larger size facilitates “gesture” inputs on touch-screens. 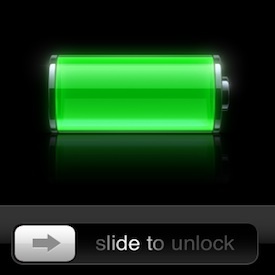 The requirement that we intentionally slide a slider to unlock, further safeguards against unintentional unlocks on either smart devices or older Mac and PC mouse-click technologies. There are many ways to write a better or faster algorithm, app or entire operating system. I strongly support copyrights and patents for original software code. I’ll grant there are few things more discouraging than writing a snazzy new software slide lock, only to see it go viral a few months later. We also saw these same issues back in the 1950’s as car manufacturers shamelessly copied styles from others, but we never saw Buick suing Lincoln or Packard because of the occasional, more-than-passing resemblances of their chromed front grilles. Making litigation even more fractious is the fact that patent systems differ worldwide. The same infringement lawsuits must often be filed in China, Holland, the UK, Belgium, and the USA. I suspect a solution will need an international consortium of legal and industrial cooperation. It may require complete removal of protection for purely cosmetic enhancements which intentionally mimic older mechanical hardware analogs. Or, it may evolve a new limited-term patent category for intangible puffery, say, for one year. That would allow some design exclusivity without stymieing creative design. Let’s think one last time about the cabinet and furniture hardware industry. For “pulls” – handles to open drawers, cabinet doors and the like – we can think of the hundreds and hundreds of available designs we’ve seen. Chromed. Brass. Round. Square Ornate old English, Scandinavian minimalist, and on and on. The older we are, the more designs we can remember. 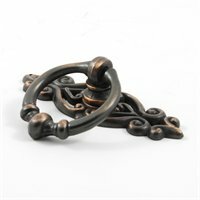 And then there are the matching hinges – concealed, ornate, heavy-duty, and so forth. How far should laws allow the patent system to go? The basic design process was all the same: start with a mechanical drawing or wax sculpture. Make a die or investment casting. Stamp or cast them out by the hundreds of thousands, in catalogs featuring thousands of different designs. If we’d opened all those designs up to the patent and litigation process, would we ever have made it into the 21st century? Whether fabricated by investment casting or software subroutines, They’re all just handles, latches, pulls, and locks. We need to clean up our byzantine, gone-amok legal systems that determine what can be patented, not to mention freeing up choked worldwide legal systems which really should be deploying their resources on much more pressing concerns. We keep seeing articles about the new proposed Stop Online Piracy Act, or SOPA. I’ve long been opposed on principle to copyright piracy. As an author, webmaster and occasional utility software programmer, I have no sympathy for content pirates of any age or motivation. I agree that software piracy and other forms of intellectual property theft are a serious worldwide problem. On the other hand, previous industry efforts to combat piracy have been anally self-serving at the expense of end users. They penalized legitimate consumers and distributors,. They were flagrantly draconian. So, now that Congress is trying to get into the act again, I finally decided to read up on SOPA. This bill would allow copyright holders or the U.S. Justice Department to seek a court order which goes against internet providers (instead of just against individual offenders) when websites are accused of “enabling” copyright violations or counterfeited goods. The bill does require a court order before enforcement of its provisions. But by all accounts the bill is poorly written and vaguely worded. So it should not be too hard to find sympathetic judges to issue those orders based on personal interpretations of loosely worded law. One of my questions was: what would prevent copyright holders from seeking redress now? The Millennium Digital Copyright Act currently allows copyright holders to ask internet providers to take down specific content that’s in obvious violation of copyright law. In fairness, many providers view this as infringement of First Amendment rights, or an impossibly onerous burden of policing and adjudication, or both. Most would not be expected to be too cooperative with efforts to involve them in efforts to censor their subscribers’ content in any way. And they have a point. This kind of censorship, so prevalent in the far east and parts of the middle east, is used to strengthen totalitarian regimes and neutralize or eliminate dissent. It appears SOPA would partially dismantle protections for websites that act in good faith. We should not miss noticing this is just a new example of one segment of our “free enterprise system” trying to legally ensnare another segment into doing its bidding. SOPA advocates claim the bill is not aimed at sites like YouTube which host all manner of content (usually excerpted snippets) uploaded by the public. But, SOPA does not appear to have any protections that would prevent action against a site on the YouTube model if a plaintiff felt like it. When Congress placed new restrictions on fees banks could charge retailers for debit card usage, a Bank of America spokesman howled this was “unwarranted interference” with the bank’s ability to conduct its business. BofA then announced its intent to impose a $5 monthly “swipe fee” on its customers, but backed in face of a howl of public protest and boycotts. The Republican Party, the party of favor for corporations and big business, has long charged moderates and liberals with exactly this kind of “unwarranted interference,” going so far as to claim Big Government is destroying America. Yet, where their own business and lobbying interests are concerned, conservatives and their sponsoring corporations are capable of being even more interventionist than their more moderate political opponents. SOPA isn’t just bad law. SOPA doesn’t actually accomplish what it claims to do. What it instead accomplishes is disturbing. It’s a stealth attack on freedom – a very dangerous thing for business, the country, and informed citizens of any political persuasion.